2017 is another massive year for book-to-screen adaptations, and we’re particularly excited to see these four books from Australian authors make their big (and small!) screen debuts. At the age of five, Saroo Brierley became lost on a train in India. Not knowing the name of his family or where he was from, he survived for weeks on the streets of Kolkata, before being taken into an orphanage and adopted by a couple in Australia. While he was happy in his new family, Saroo always wondered about his origins and when he was a young man the advent of Google Earth allowed him to pore over satellite images of the country for landmarks he recognised. And one day, after years of searching, he miraculously found what he was looking for. Pirriwee Public’s annual school Trivia Night has ended in a shocking riot. A parent is dead. Was it murder, a tragic accident, or something else entirely? Big Little Lies is a funny, heartbreaking, challenging story of ex-husbands and second wives, new friendships, old betrayals and schoolyard politics. Liane Moriarty turns her unique gaze on the dangerous little lies we tell ourselves every day and what really goes on behind closed suburban doors. Late on a hot summer night in the tail end of 1965, Charlie Bucktin, a precocious and bookish boy of thirteen, is startled by an urgent knock on the window. 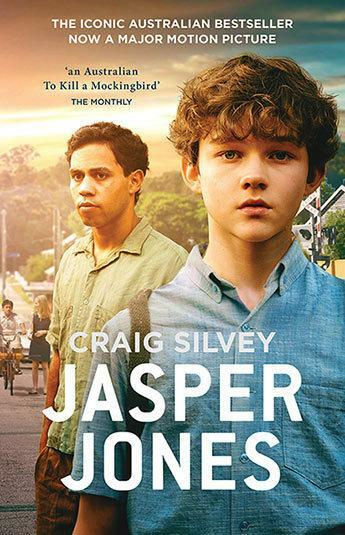 His visitor is Jasper Jones, an outcast in the regional mining town of Corrigan. Rebellious, mixed-race and solitary, Jasper is a figure of danger and intrigue for Charlie. So when Jasper begs for his help, Charlie steals into the night by his side, terribly afraid but desperate to impress. In the simmering summer where everything changes, Charlie learns why the truth of things is so hard to know, and even harder to hold in his heart. One afternoon, near the tourist trap of Checkpoint Charlie in Berlin, Clare meets Andi. He’s a native Berliner and English teacher; she’s an architectural photographer who has taken leave from her job in Australia to travel through Eastern Europe. There is an instant attraction, and when Andi invites her to stay, Clare thinks she may finally have found somewhere to call home. But as the days pass and the walls of Andi’s apartment close in, Clare begins to wonder what Andi is really after. Find even more books being adapted for the screen in 2017 below.